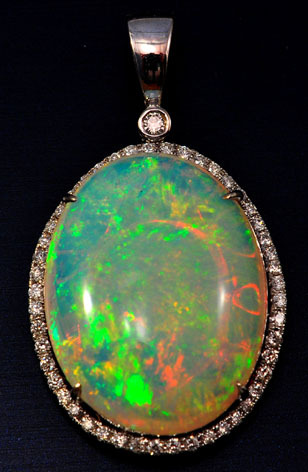 We are very excited to introduce our newest line of natural Ethiopian Opals. These are all opals originating from the Welo Mine in Ethiopia. 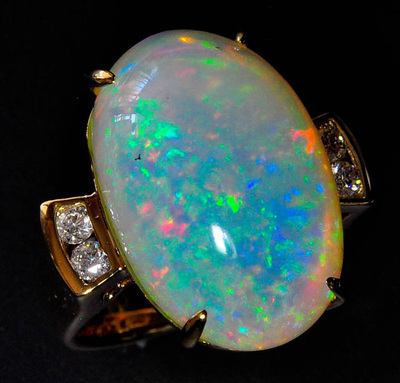 They started mining opal in Ethiopia in the early 1990's, and now most of the material found is sourced from the Welo Province. The Welo mine is very new- only discovered in 2008. 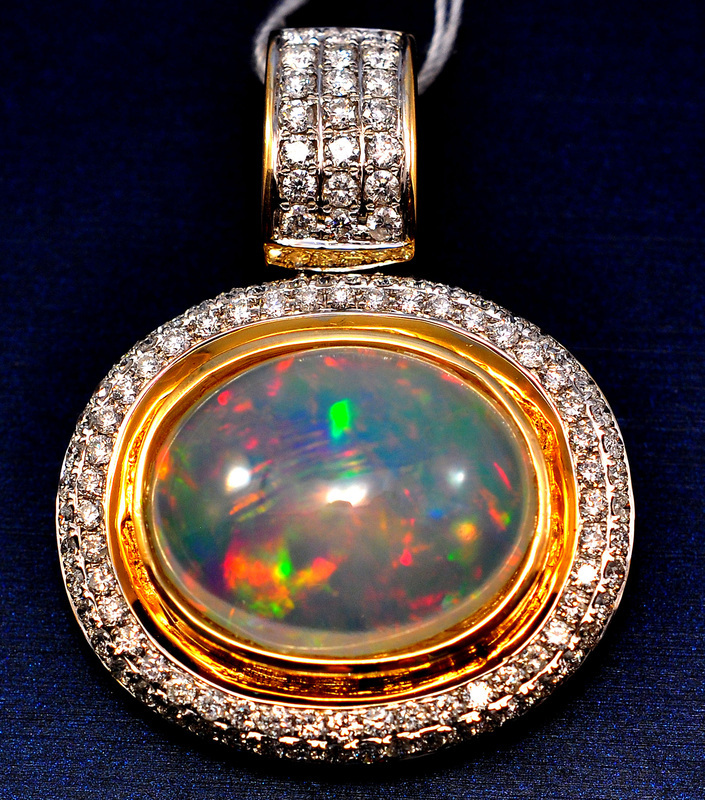 We carry only the finest Ethiopian Opals, and we believe their beauty can surpass that of Australian Opal. 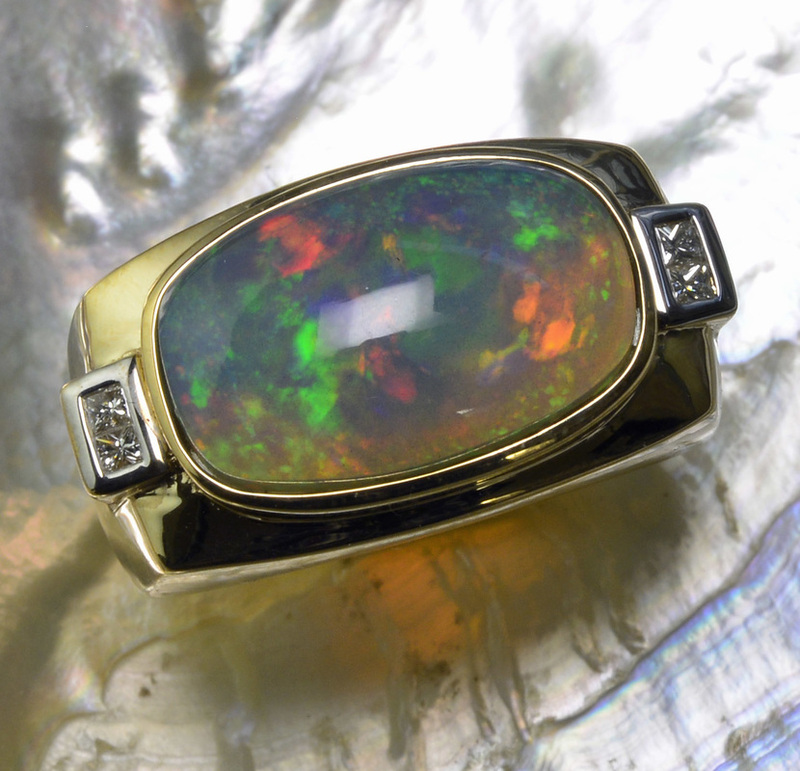 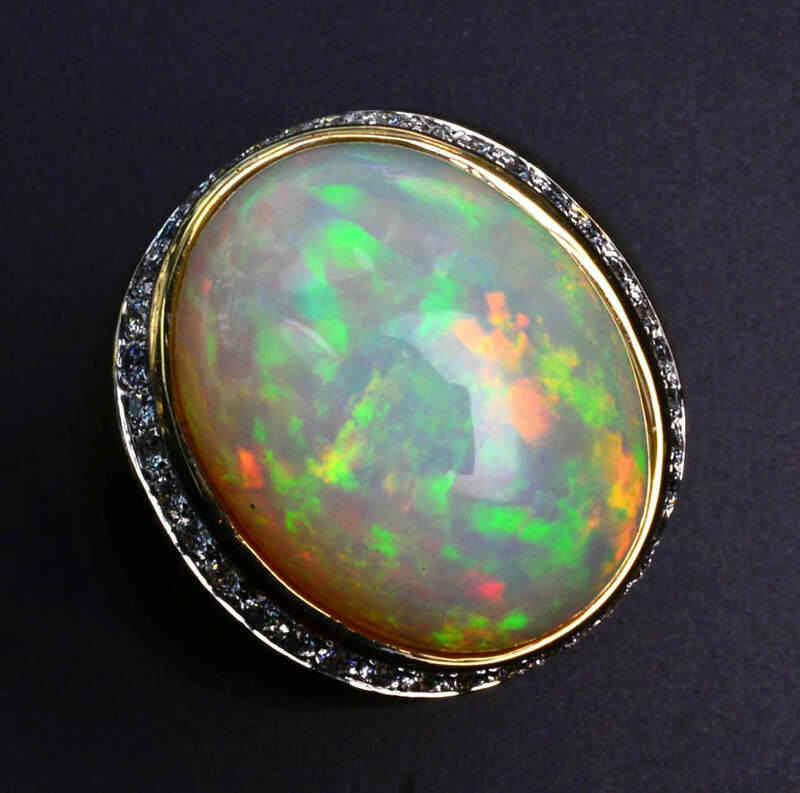 Ethiopian Opal can come in a variety of "patterns", ranging from snakeskin to a honeycomb pattern. 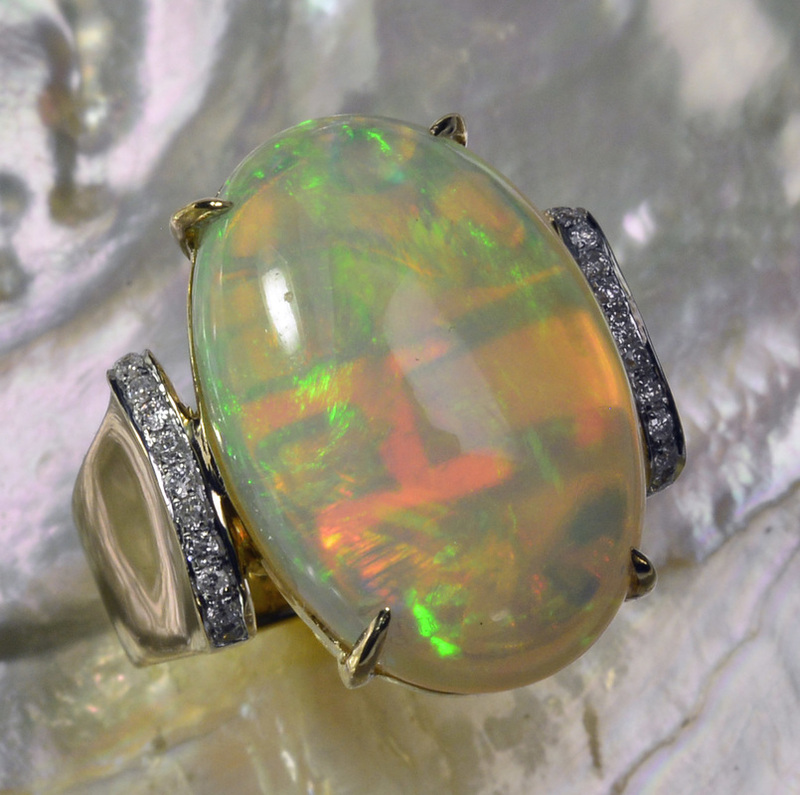 They also come in colors from transparent, white, red, and a beautiful chocolate brown. Ethiopian opal is hydrophane- meaning it will absorb up to 8% of its weight in water and become transparent. 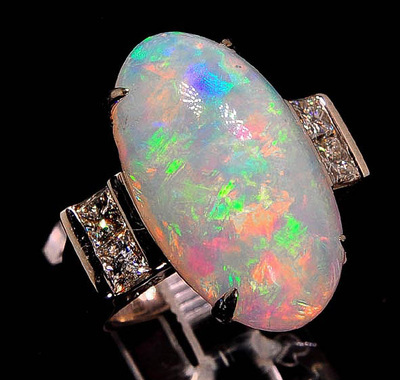 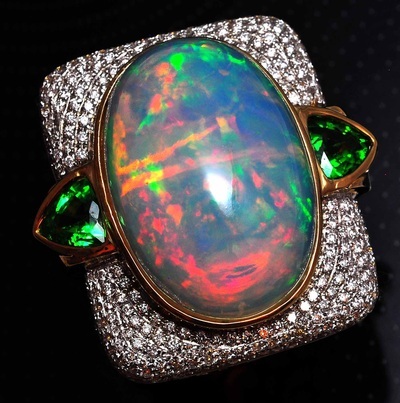 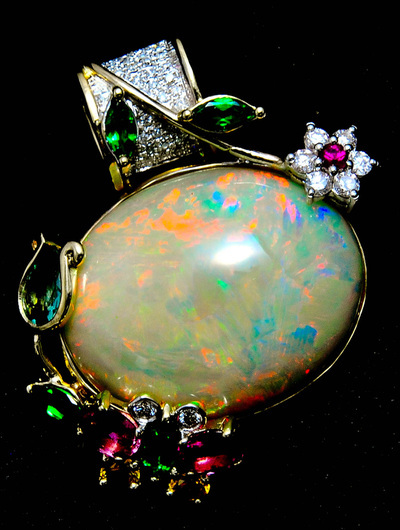 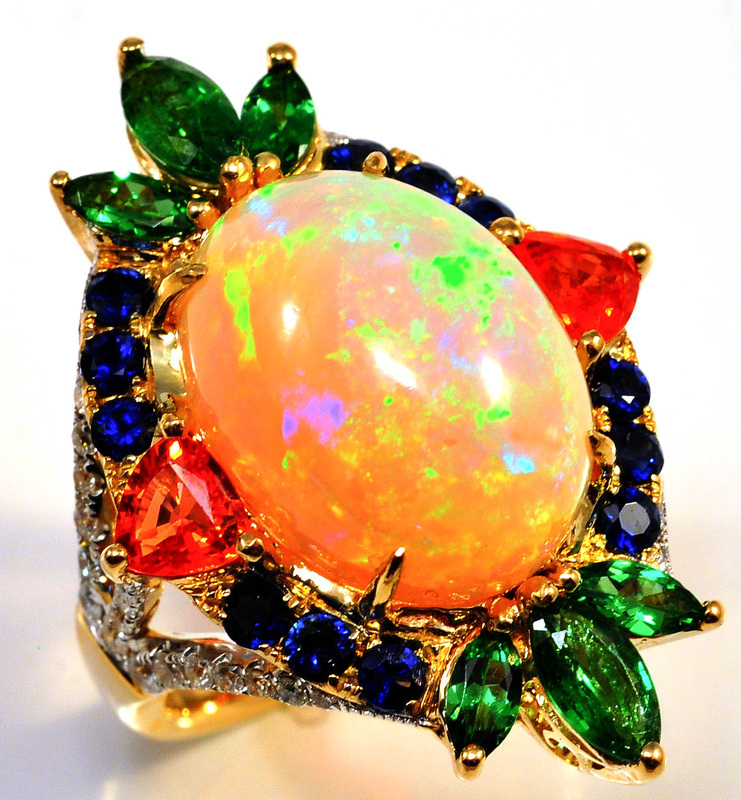 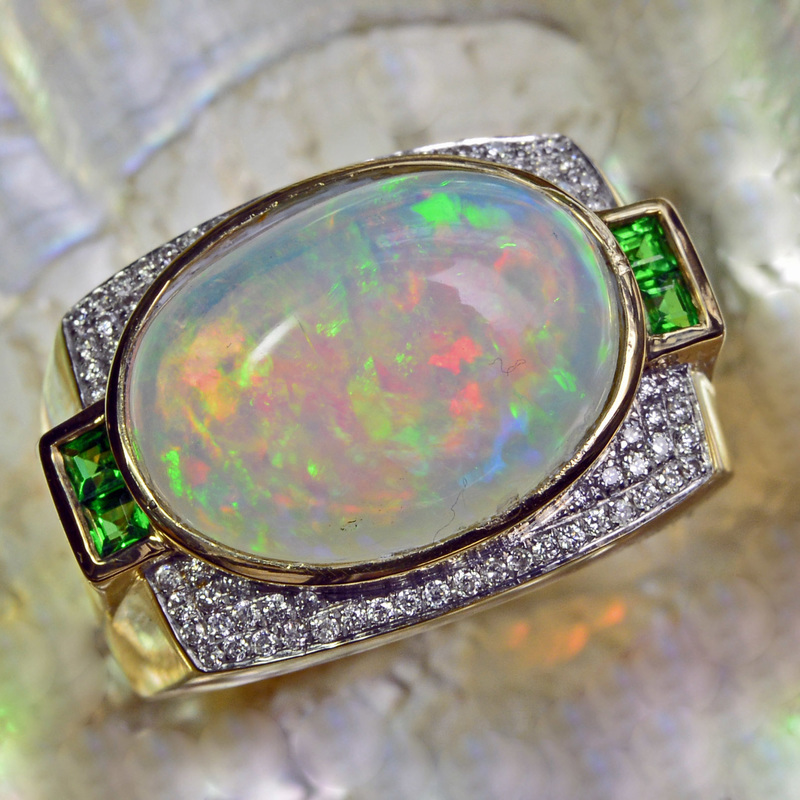 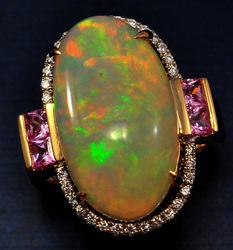 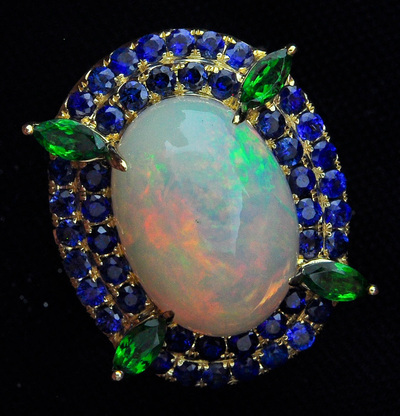 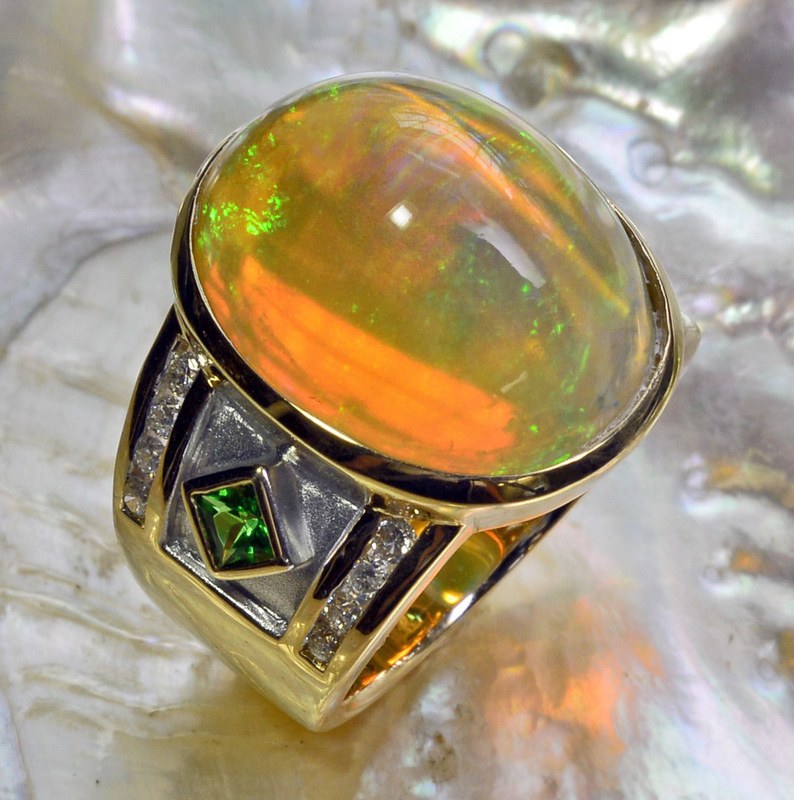 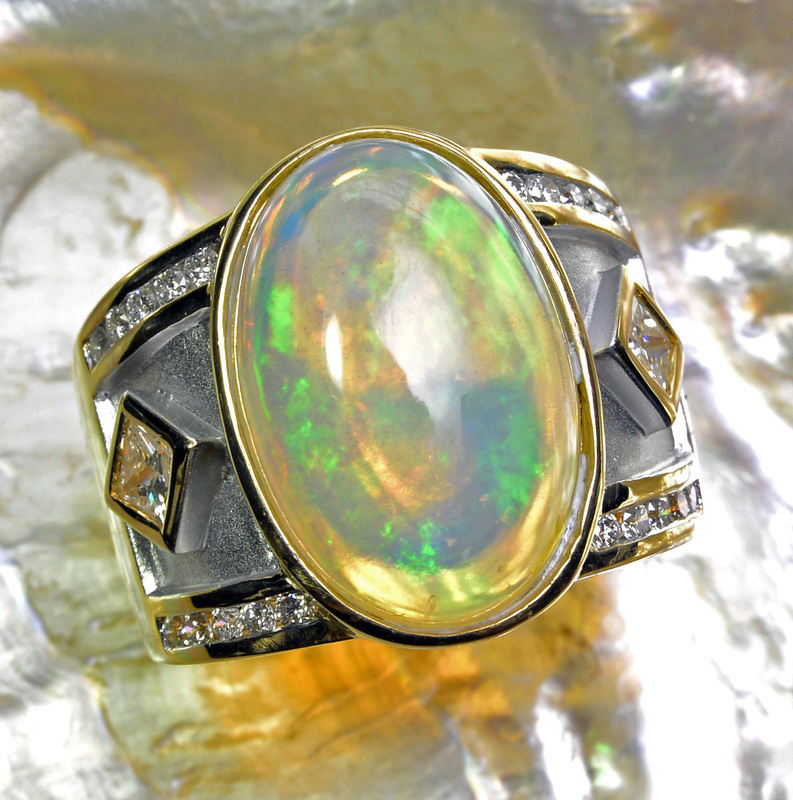 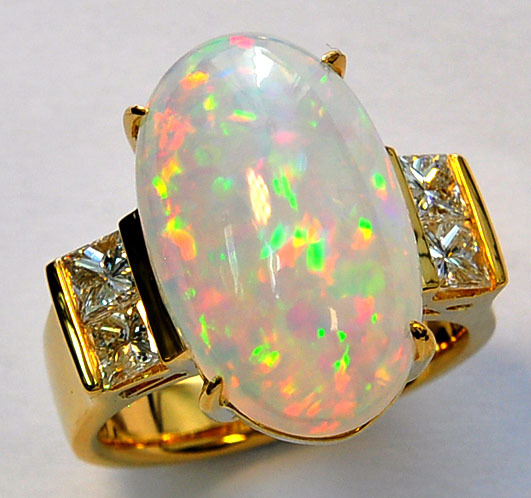 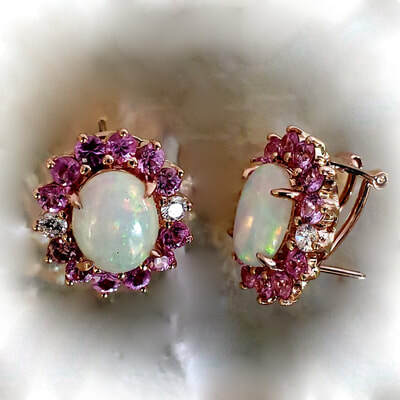 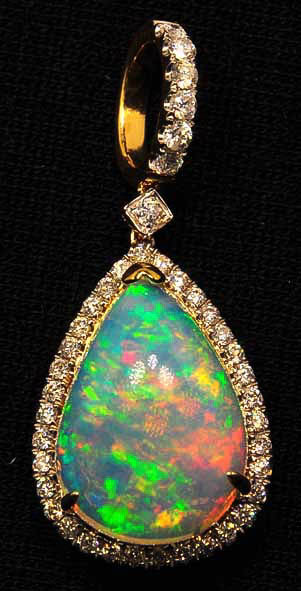 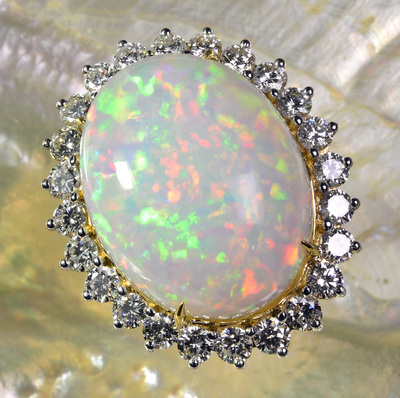 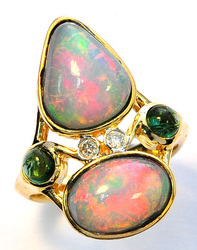 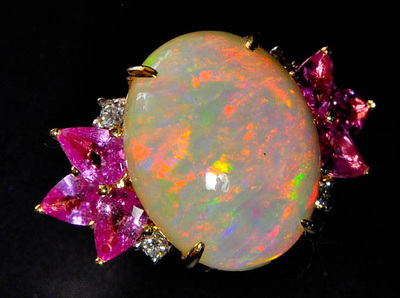 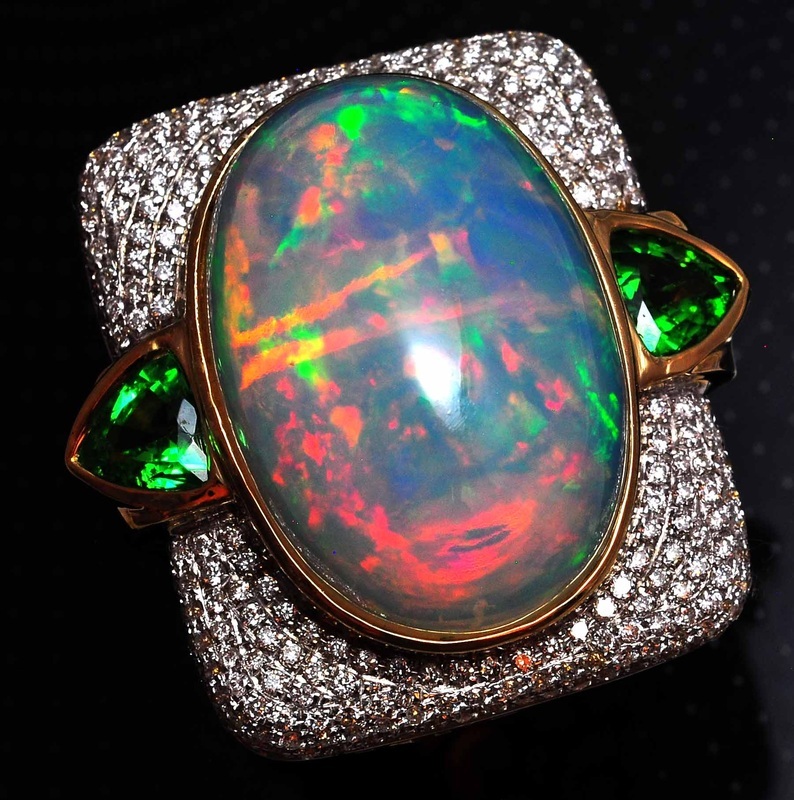 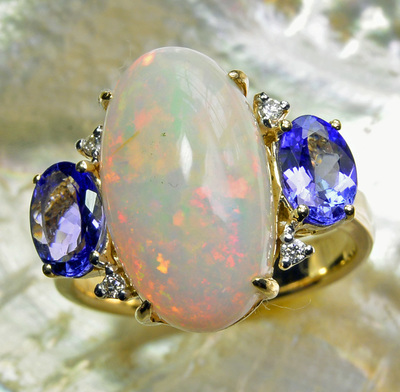 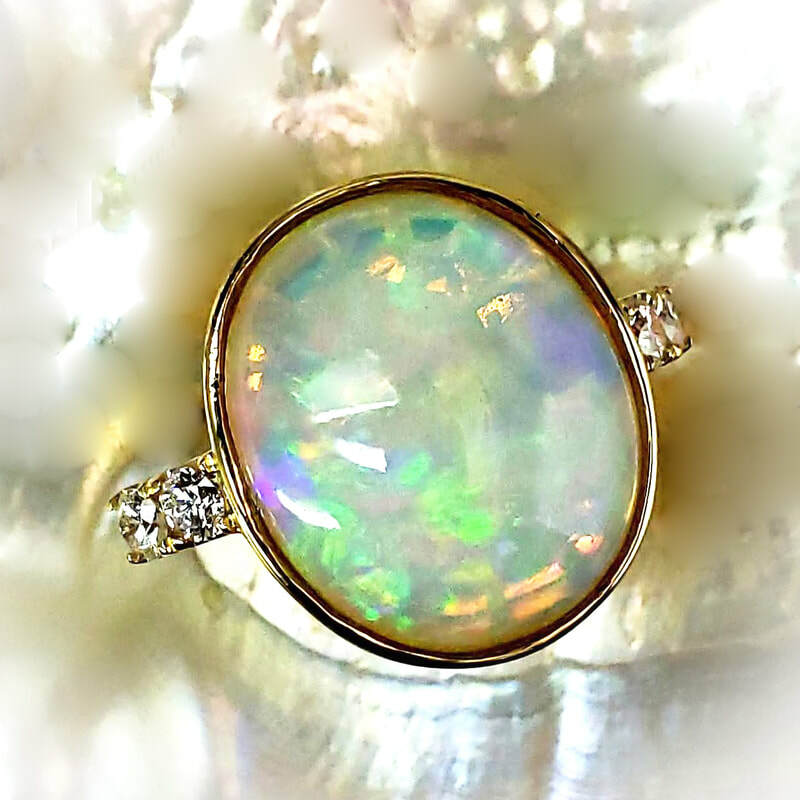 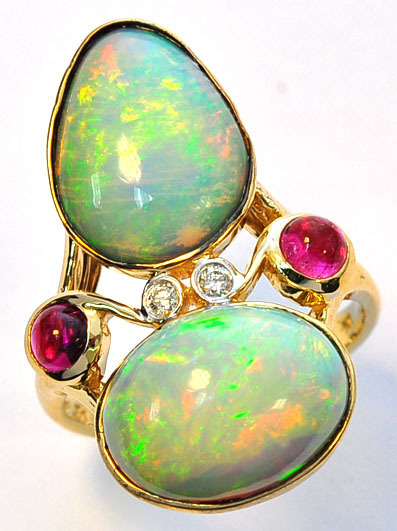 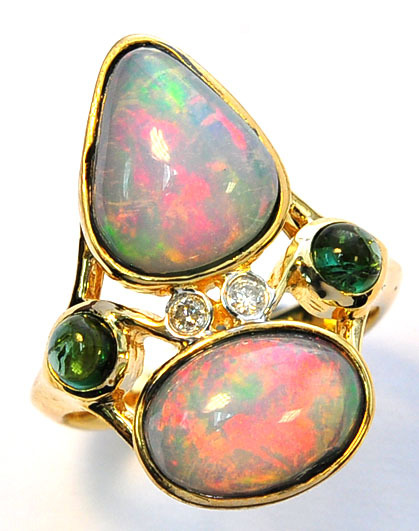 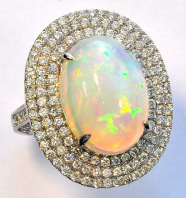 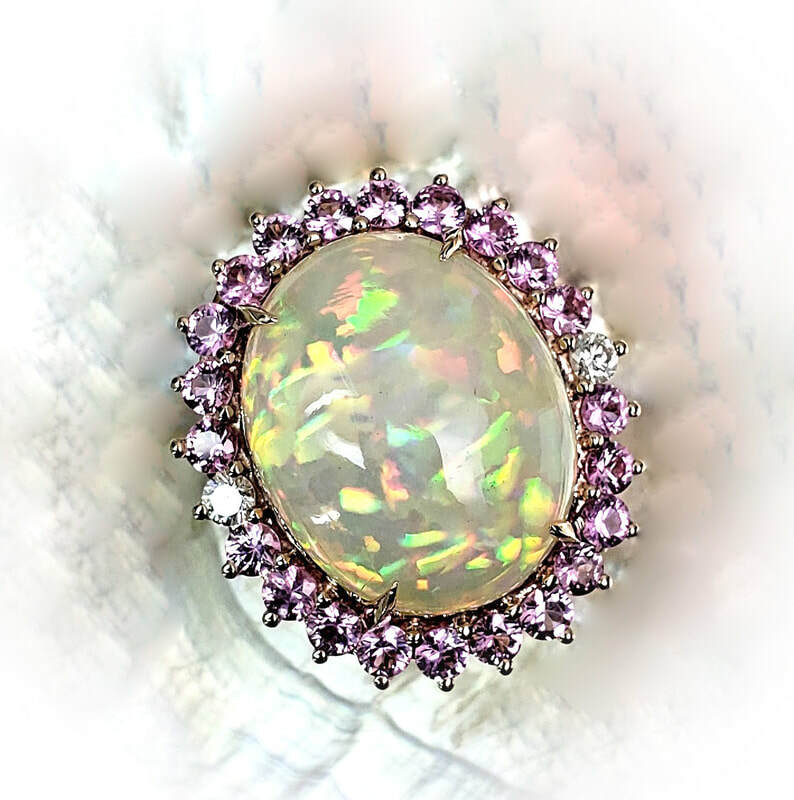 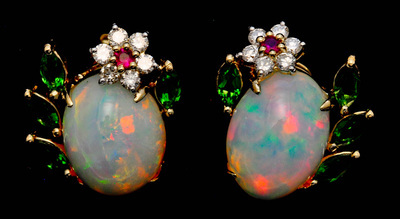 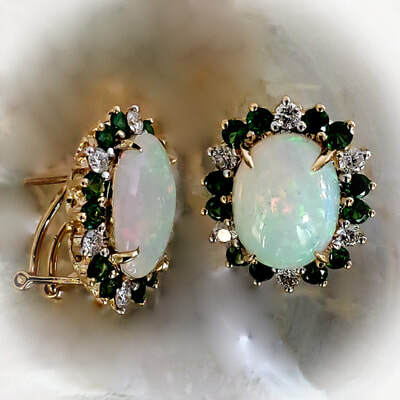 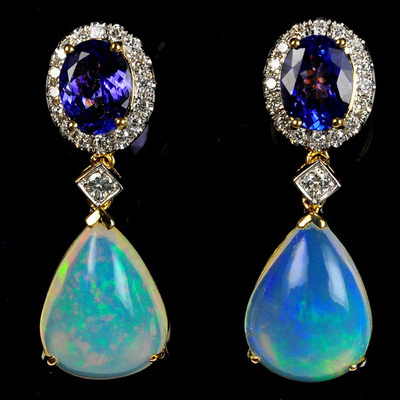 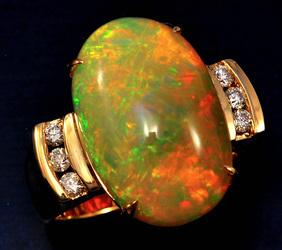 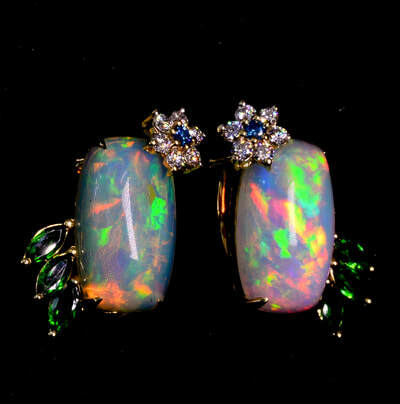 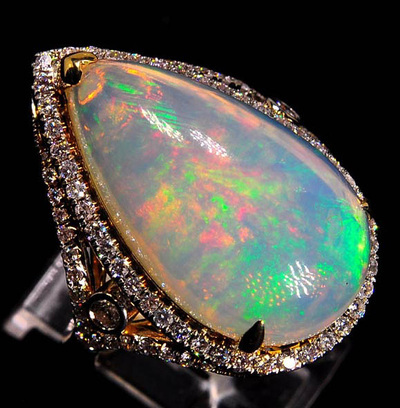 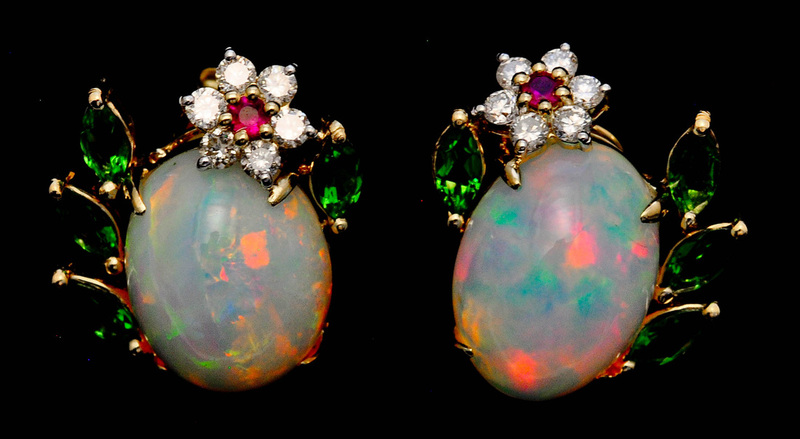 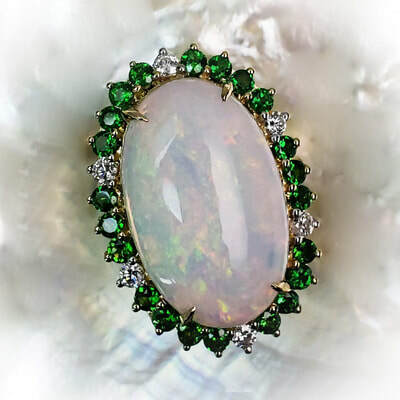 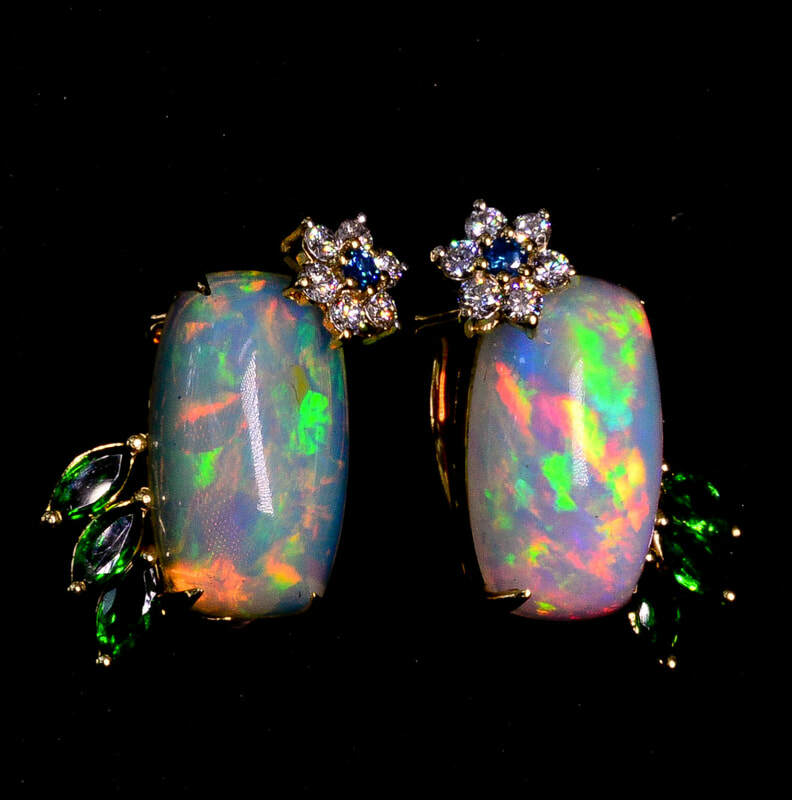 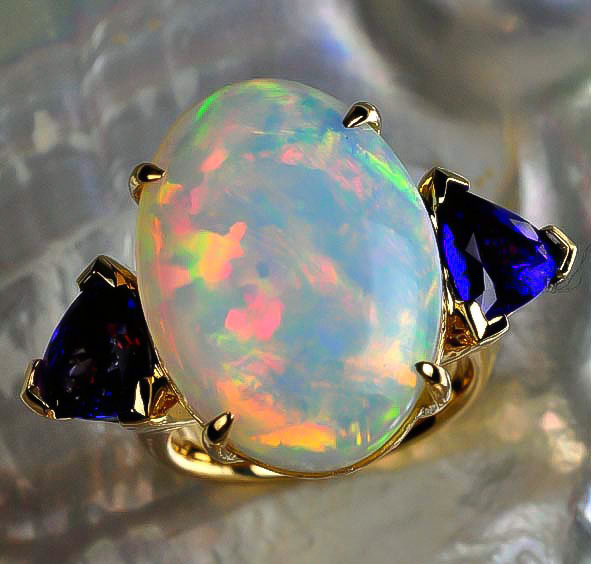 However, normally Ethiopian opal is quite dry, and does NOT require the care that Australian opals do. 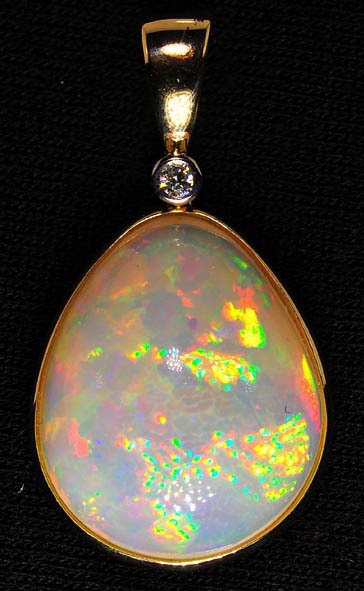 Australian opals need to be in a humid environment, and sometimes even soaked. 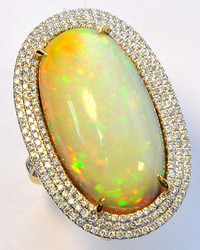 Ethiopian opal is best kept in dry conditions. When wet, they can even become sticky and stick to your finger! 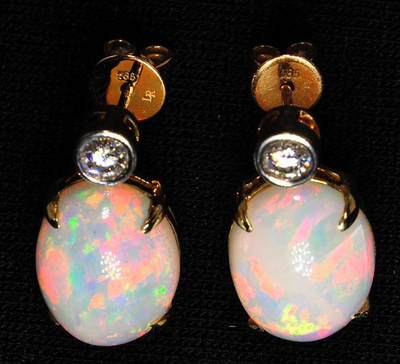 However, they will dry out again. 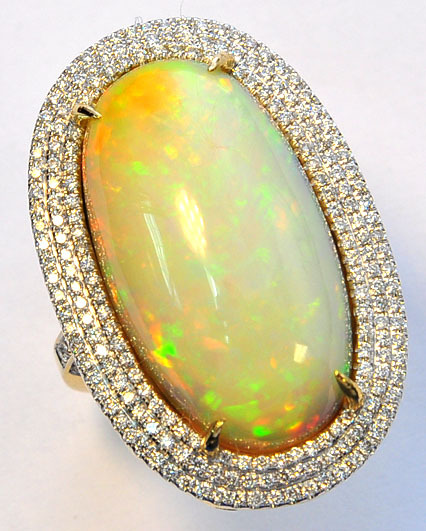 According to my research, Ethiopian Opal is quite durable as well, surviving a 6 ft drop test onto concrete. 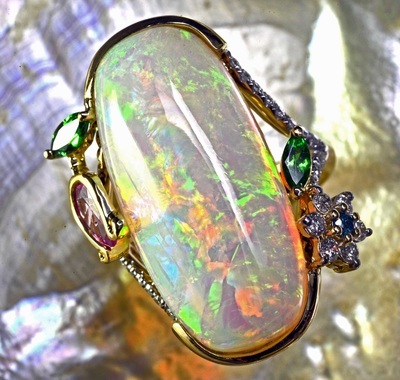 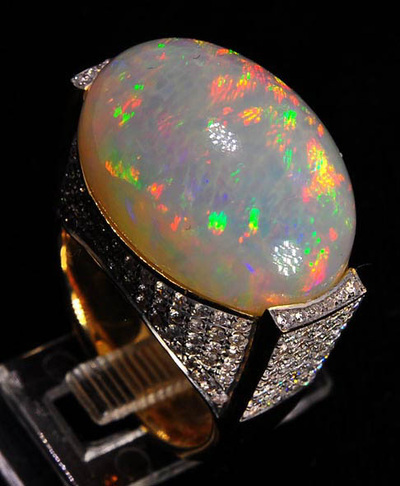 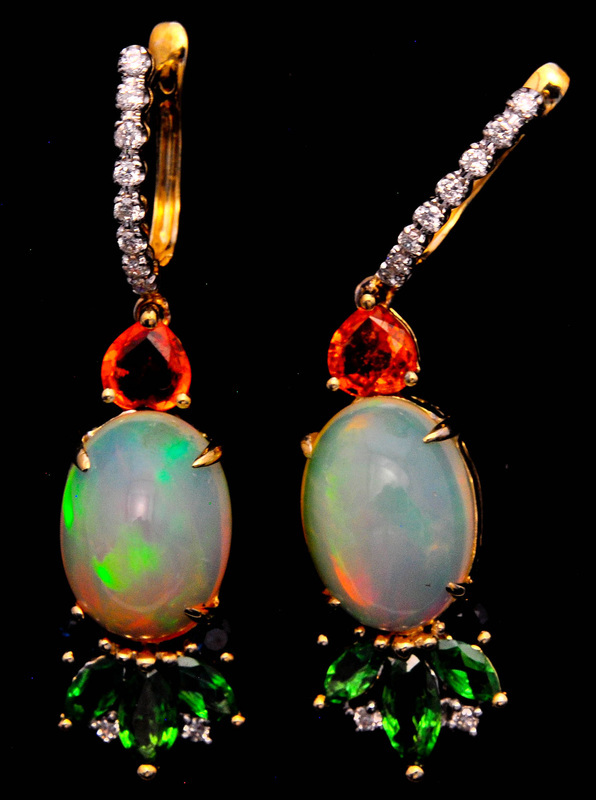 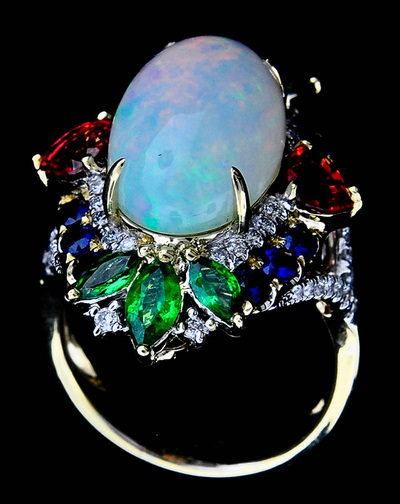 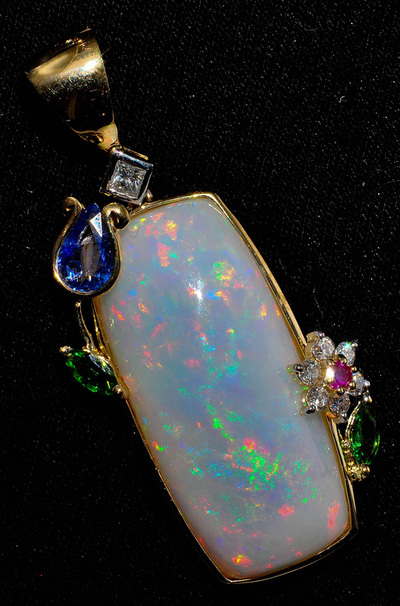 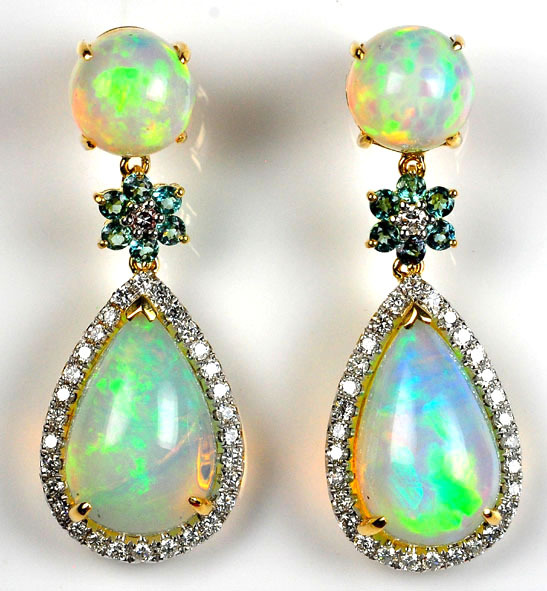 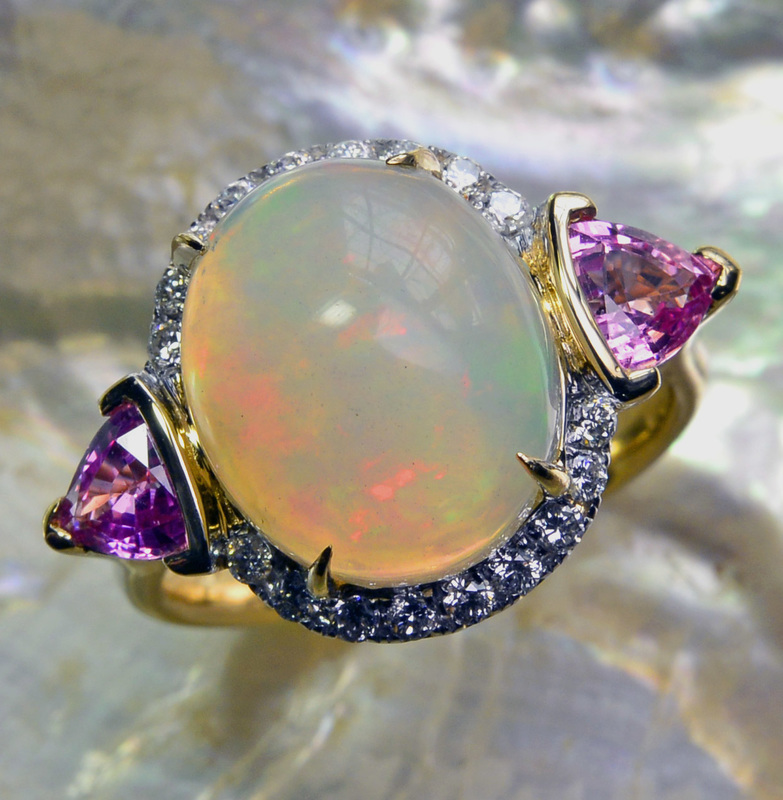 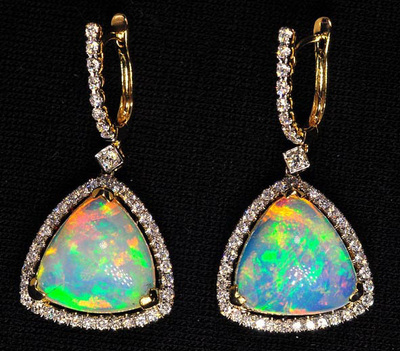 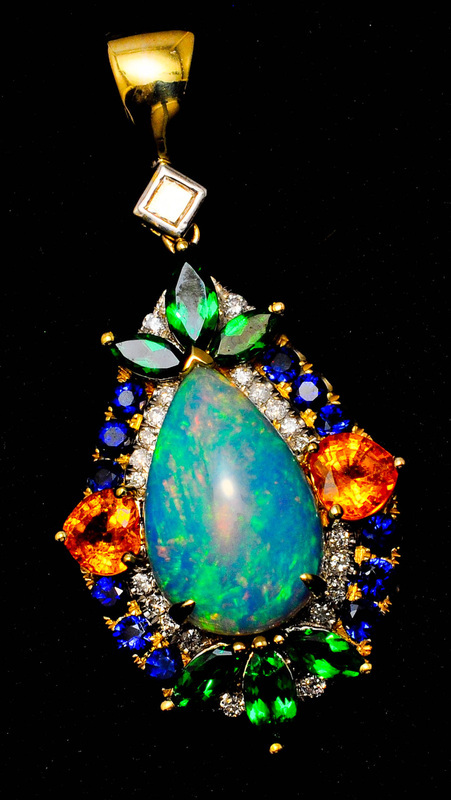 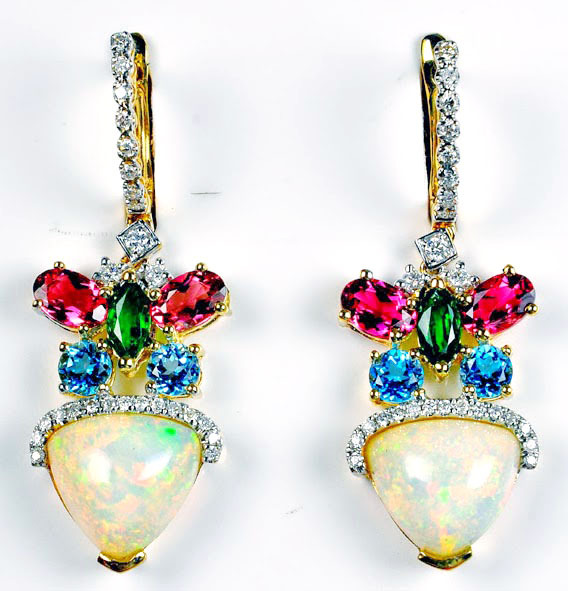 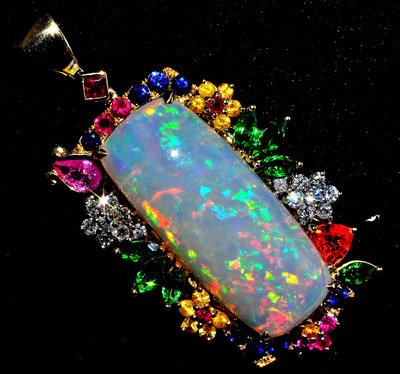 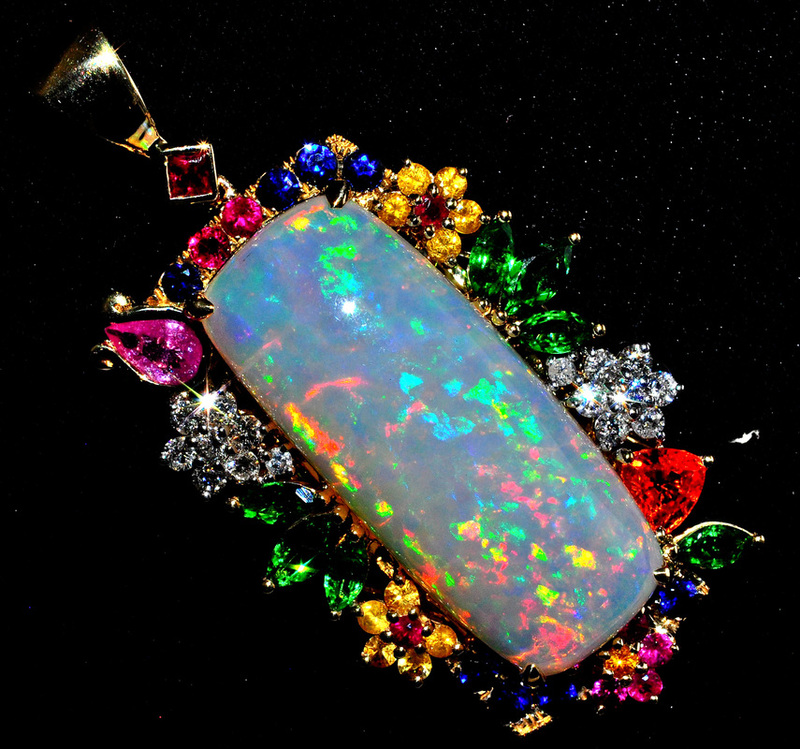 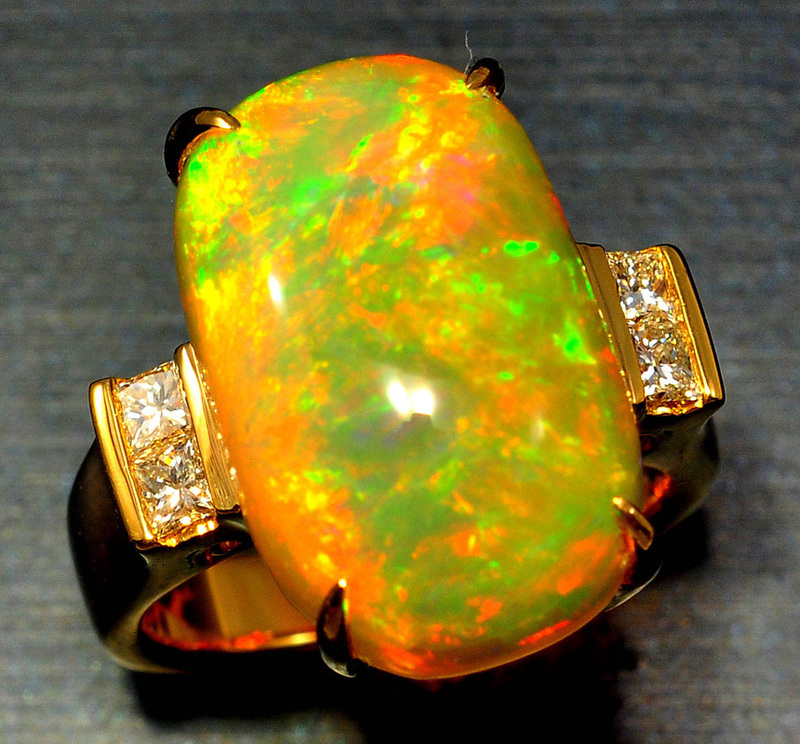 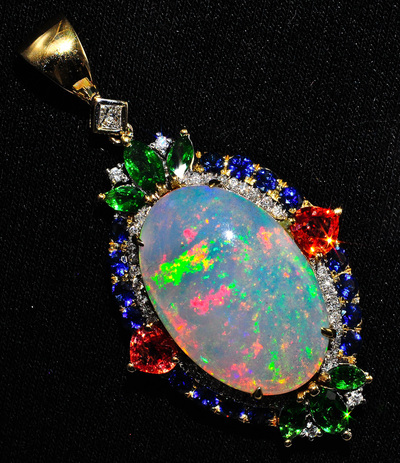 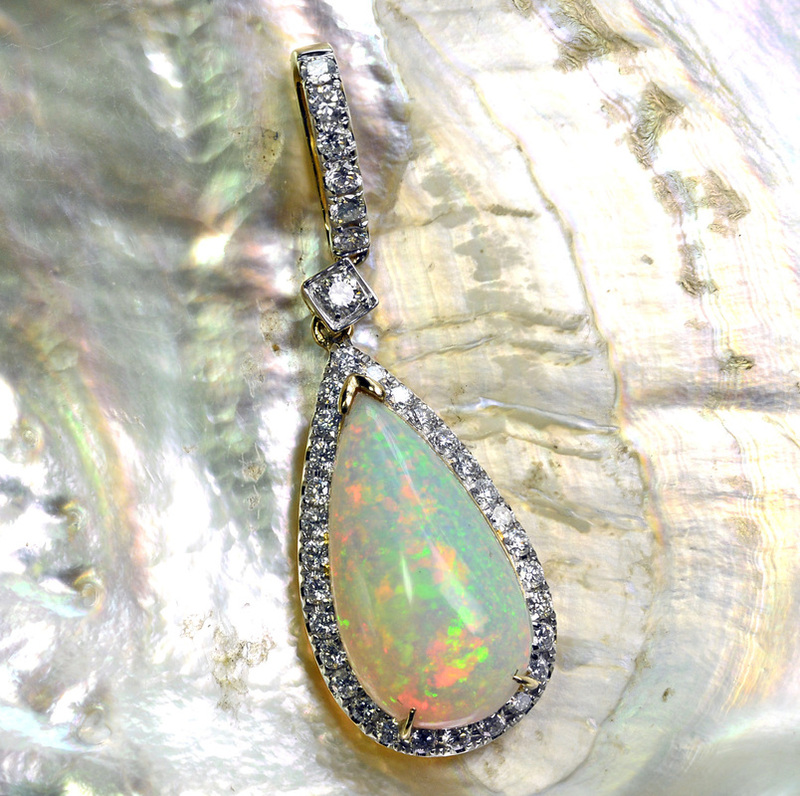 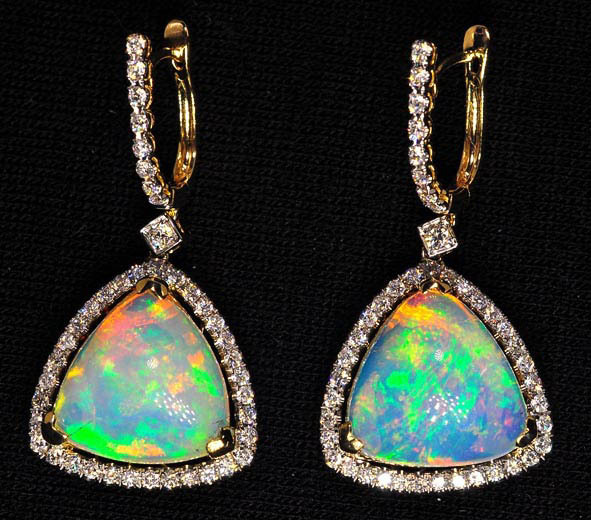 This is why we are such big fans of Ethiopian Opal. They are beautiful, don't require as much babying, and are pretty durable.